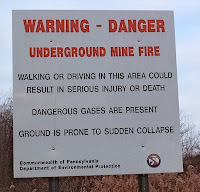 Pennsylvania is known for its coal mines and Centralia was a flourishing coal mining town in the late 19th century. It had up to 2761 inhabitants. In 1962, the town was using a (surface) strip mine pit as a landfill and set the dump on fire to clean the landfill (as they already done before). 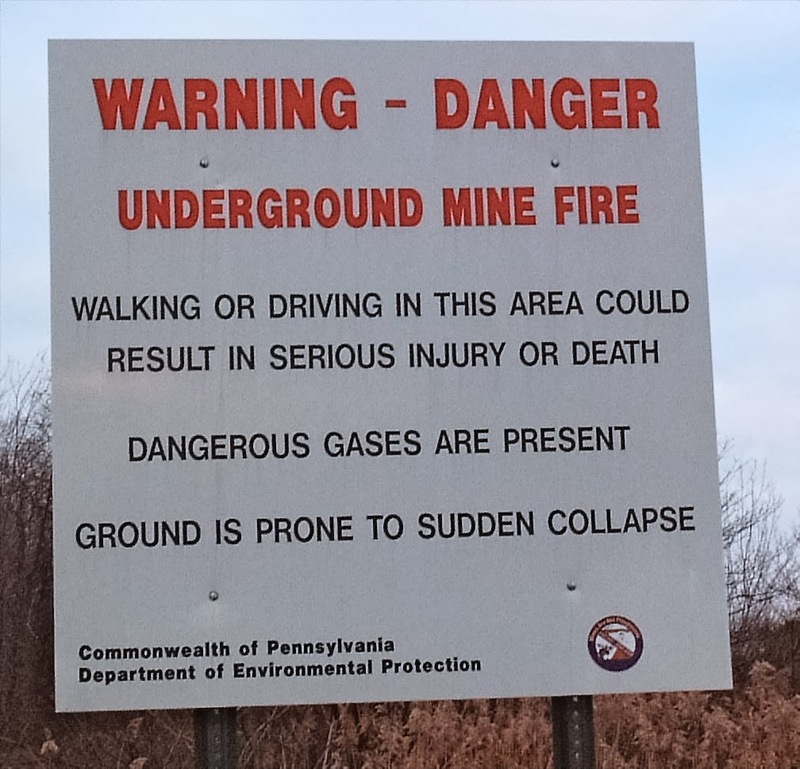 The fire was unfortunately not completely extinguished and an opening let it spread to the coal mines under the town (or something in the same vein, there is some disagreement on the story). It wasn't until 1979 that the public became aware of the issue when a gas station owner discovered that the temperature of his gasoline underground tanks was 172 °F (77.8 °C). The attention to the fire quickly increased, especially when a 12yr old boy almost lost his life when a 150 feet deep sinkhole suddenly opened underneath him in his grandma's backyard. Thankfully his 14yr old cousin managed to pull him out. These two can consider themselves lucky since the fumes coming out of the hole contained a lethal level of carbon monoxide (CO). For those wondering... the mine fire has now been burning for over 50 years and could burn for another 250 years. That's a whole lot of CO2 for out atmosphere.... and there are more than 200 surface and underground coal fire in the USA alone.